We went beach bound for these photos this week and got some fun shots of this handsome little man. You might remember his nine month photos a while back. See them HERE. He hasn’t changed much besides getting bigger, and those big brown eyes are still there! 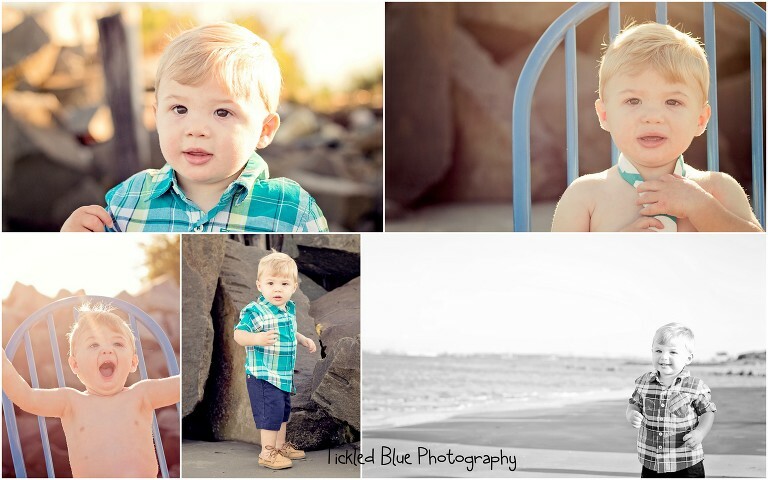 I love the photos I got of him that day and here is his sneak peek collage and photo slideshow!